With the gorgeous white sand and crystal clear water just steps away, this hotel provides the ultimate beachfront experience with some of the best views available in Miami. Upscale guest rooms are a haven of relaxation, with many featuring private balconies and sweeping ocean views. Enjoy a host of nearby activities including wind surfing and kayaking. Many of Miami's best land activities are also just minutes away, from the popular nightclubs on Washington Avenue to the restaurants along the avenues of the Art Deco district. 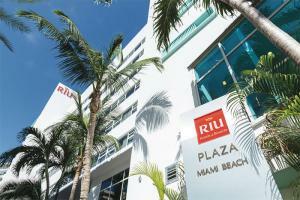 Located on the ocean front just minutes from the Art Deco disctrict and downtown Miami.